What's the most adorable creature in all of fiction? 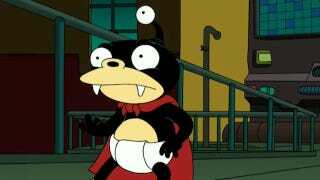 Nibbler. Pikachu. The Adipose. This Futurama alien, Pokémon, and sentient fat-thing from Doctor Who are just three of the many, many hyper-cute character that lurk in movies, TV shows, anime and more. But what's your pick for the emperor of adorability? Give us your picks in the comments, and make sure you include pics, of course. How else are we going to judge the cutest of all?